A renowned guest farm within the Erongo Mountain Rhino Sanctuary. North of the small town Usakos on the road from Windhoek to Swakopmund lies the Erongo Mountain, an old volcano rising 2319 meters above sea level. 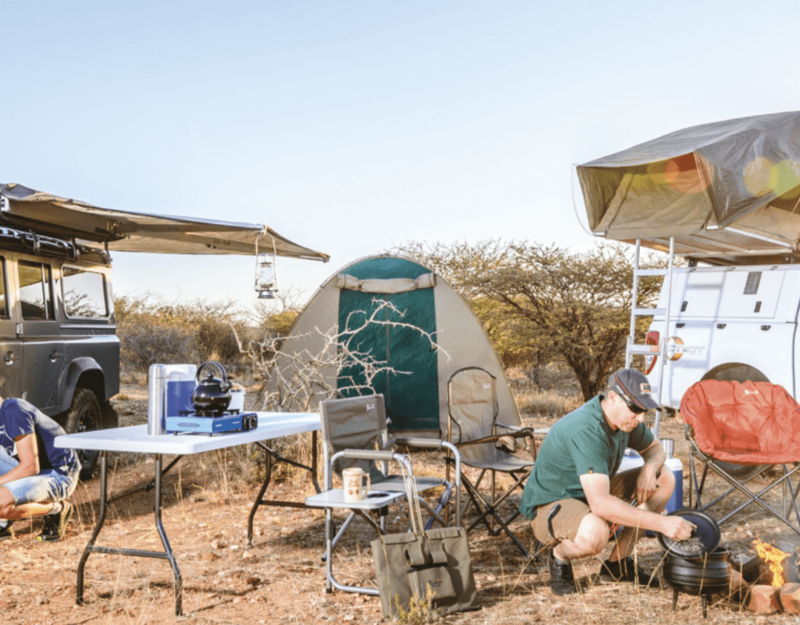 Here, on private land, the Erongo Mountain Rhino Sanctuary Trust was founded, aimed at establishing a private game reserve of approximately 200 000 hectares in and around the Erongo Mountains. Within the sanctuary elephant, black rhinoceros, leopard, brown hyena, giraffe and many other species occur, among them the endemic black-faced impala, Hartmann’s zebra and Damara dik-dik. There is abundant bird life at Ameib, including the black eagle, peregrine falcon and several endemic species such as Hartlaub’s francolin and Monteiro’s hornbill. The guest farm is situated at the foot of the southern crater rim, against a magnificent backdrop of sheer granite outcrops. Visit the famous Bull’s Party rock formations and Philipp’s Cave with its well-known rock paintings. 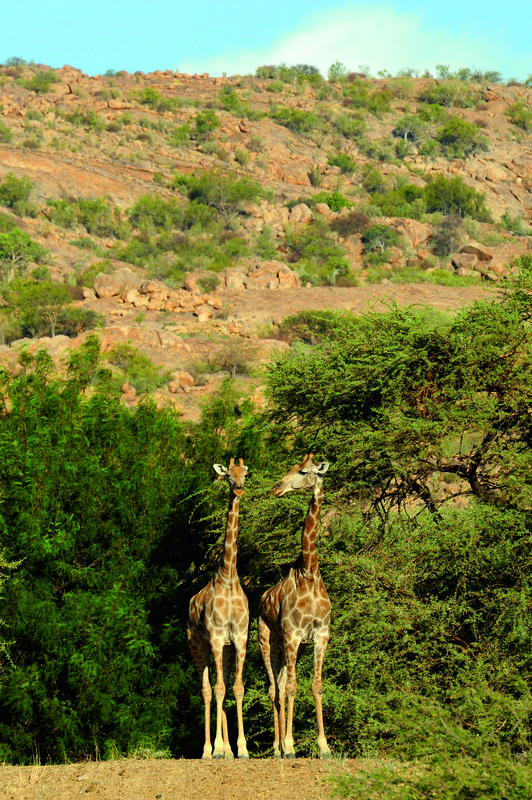 On game drives black rhino, giraffe and other rare wildlife can be seen amidst stunning landscapes. Within walking distance to the farmstead, open water attracts many birds. Day visitors are welcome. Accommodation is in 11 en suite double rooms and a camping site.